The call was traced to your cell phone. And voice recognition says it's you. Hotch: I want my phone call. Agent Ritchie: You haven't even asked why you're here. Hotch: It doesn't matter. It's either a mistake or I'm being framed. Operator: 911. What is your emergency? Hello? 911. Is anyone there? 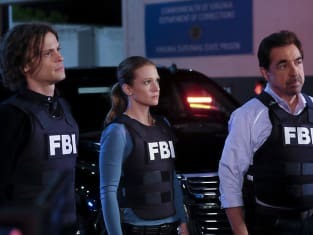 Hotch: Today will change everything. Operator: I'm sorry sir. Will you repeat that please? Agent Ritchie: What does that mean? Hotch: I don't know because I didn't make that call. Agent Ritchie: The call was traced to your cell phone. And voice recognition says it's you.